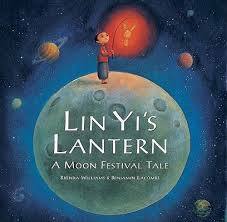 This picture book tells the story of a modern Chinese American family having a moon-viewing picnic during the Mid-Autumn festival. Readers can learn about traditional food, such as moon cakes, that are associated with this festival. 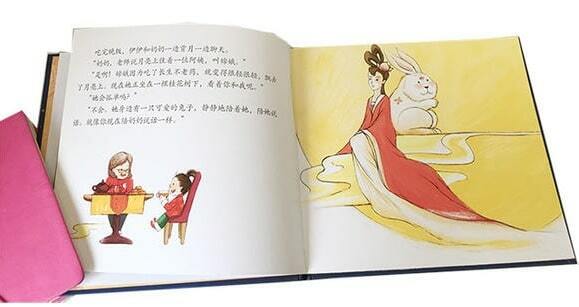 In this picture book, Little Mei asks Grandpa about the Mid-Autumn Festival and Grandpa tells her the Chinese mythology of Chang’e, the Moon Goddess, and her mortal husband, Hou Yi. 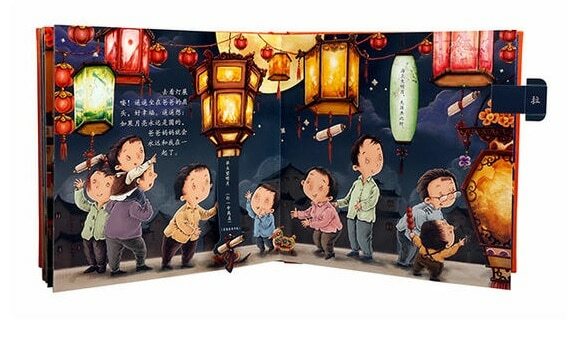 This book is one of four parts of the Chinese Festivals series that introduces children to the Chinese festivals. 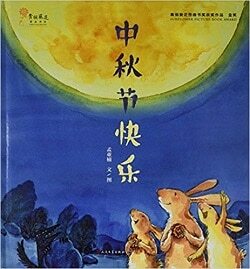 This picture book tells the story of a young village boy Lin Yi who is sent to the market by his mother to buy food for the Moon Festival. The boy really wants to buy a red rabbit lantern which his mother allows him to buy with the change money from his shopping list, but during his trip, he meets many temptations from other vendors who try to sell him their merchandise. 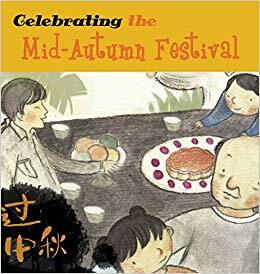 Although this book is not so much about the Mid-Autumn festival itself, it is a nice addition to the other two books above as it introduces young readers to traditional Chinese sceneries, such as rice paddies and morning markets through vivid illustrations. 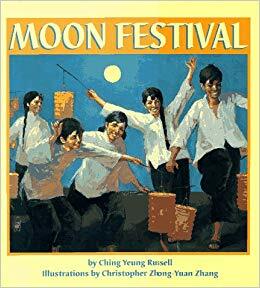 The story book (by the author who wrote the Joy Luck Club) is about Grandma Ying-Ying re-telling her story to her three granddaughters about the Moon Festival when she was a little girl – how she met the Moon Lady herself and how the Moon Lady would grant wishes to those who ask. 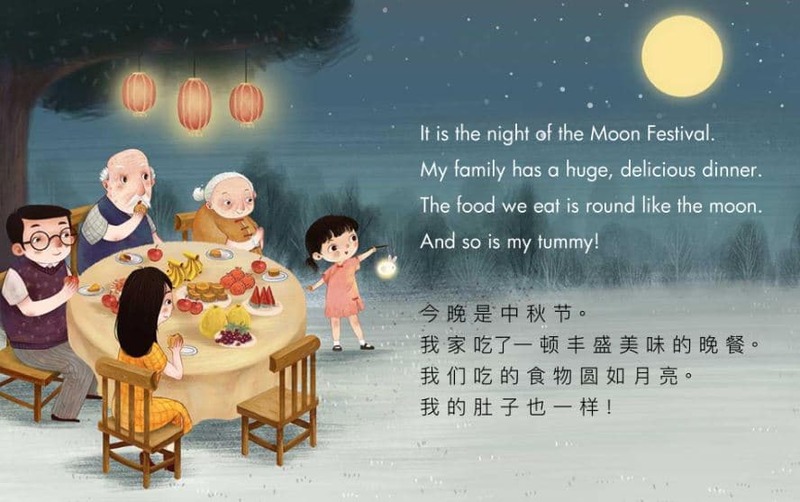 Accompanied by dramatic oil painting illustrations, this book tells the story of a family gathering with a special meal to celebrate the Mid-Autumn Festival, complete with the offering table for the Moon Goddess. The story not only highlights the theme of family reunion during the Moon Festival, but also of making prayers to the Moon Goddess. This is a fairly new book published in 2017, about two children Jack and Mei comparing two important celebrations: the Easter and the Moon Festival. 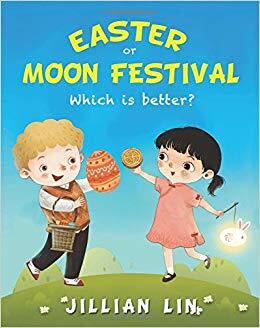 Written for children aged 6 to 12 years, children can learn about the origin of both Easter and the Moon Festival, find out the differences and the similarities between these two celebrations (the former involves Easter eggs and bunnies, the latter moon cakes, the Moon Goddess and a rabbit living in the moon). This is an English-Chinese bilingual book intended for children 2 to 6 years. 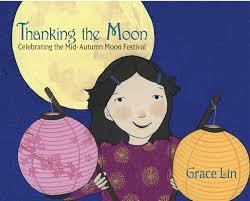 It tells the story of Mei celebrating the Mid-Autumn festival with her parents and grandparents. It also suits beginning Chinese learners who want to practice their reading skills, bilingual parents and Chinese teachers who want to read the story out loud to the children. The author has written a series of English-Chinese bilingual books. You can get a free e-book by signing up on her website. This book is written in Chinese. It tells the story of Yi Yi who has a reunion dinner with her family. 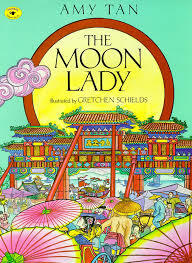 Her grandmother tells her the story of Chang’e, the Moon Goddess. In her excitement, Yi Yi gives the rabbit in the moon a call. The rabbit in the moon is in fact her father. A bit like parents pretending to be Santa during Christmas. Other books in the series by the same author include Happy Spring Festival, Yi Yi! Happy Dragon Boat Festival, Yi Yi! and Happy Double Seven Festival, Yi Yi! This Chinese book receives the 2016 Bronze and Sunflower Picture Book Awards. This is a 3D picture book in Chinese. Fun bits that children can play with include: pull a flap to make Chang’e ascend to the moon; to reveal a lantern’s riddle; to make the moon appear and disappear. Want to learn more about Chinese language and culture for children? Click below.